To read reviews on Book 1 at Amazon, click here. To read reviews on Book 2 at Amazon, click here. 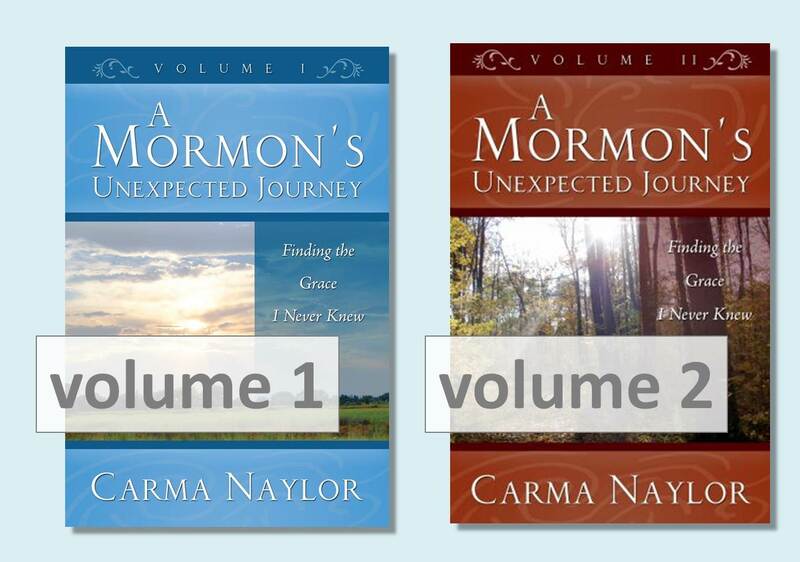 “Carma’s book is so helpful for the person who is seeking to know the truth regarding Mormonism. Although it is filled with good sound biblical doctrine and theology, that is not the main thrust. The primary emphasis is love. Carma’s love for the truth, for who God is, and for her family resonates throughout. The love of God for fallen man fills the pages. Anyone genuinely searching for the truth and asking for meaning to this life will find their questions answered in this book. “Carma loves Mormons. I have sat with her on several occasions as the tears of love have dropped from her eyes as she talks about those for whom she cares so deeply. These pages are stained with those tears. Her greatest desire is for each one to hear the truth and to know the Eternal Son of God, the Lord Jesus Christ, God come in the flesh. Available at major book retailers around the world. Click to buy either Book 1 or Book 2.